Craving for fresh and yumilicious seafood? I went scavenging around for this crabby and Ocean Seafood Restaurant 海洋海鲜餐厅 is one the best seafood restaurant that will ignite my appetite. 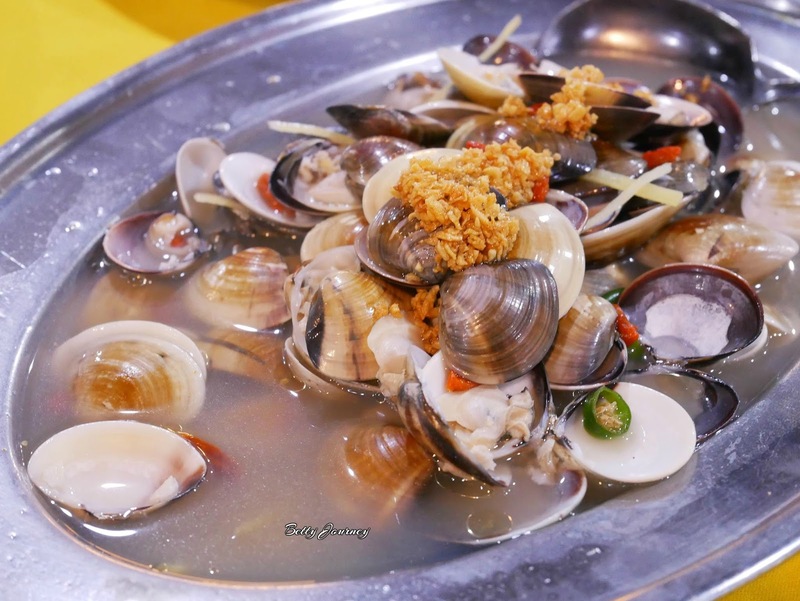 This hidden germ is nestled at Bandar Puteri, Puchong whereby food hunter can easily allocated the restaurant. Beside serving fresh and delicious seafood, Ocean Seafood also offer array of Chinese cuisines. 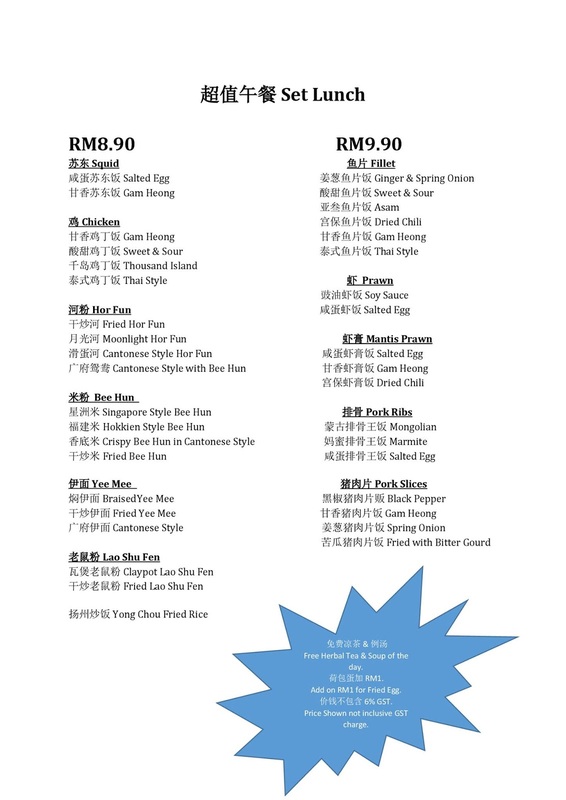 Don't forget to drop by Ocean Seafood during lunch hour as they offer attractive set lunch at RM8.90 and RM9.90. Unbelievable right? 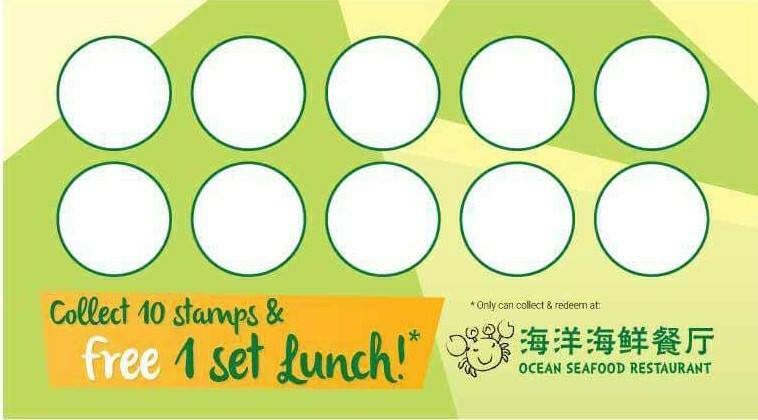 Buy 10 set lunch and you will get 1 free. Let's take a look at their main dishes. Basically is a must order dishes when dine in at Ocean Seafood. This is my favorite dish as the crab meat is moist and thick. The best part is tasty and aromatic butter salted egg that balance well the crab meat. The crab is huge and plump. It makes me keep licking on my finger as the crab is too awesome. The crabs were fresh, tender and definitely value for money as well. Another tasty spicy buttermilk crab that will satisfied your appetite. Spiciness level is acceptable and the price is affordable for a medium size crab. Surprisingly the crab meat is juicy and fresh. Eating crab will not complete without a crispy bun. Simply dip in the bun with the crab sauce to add in a nice flavor. Marvelous combination when you eat it together with crab meat. Juicy and tender Pork ribs from the inside while maintaining the crispiness of the skin. Fresh and young Kai Lan vegetable. Simple preparation yet delicious. 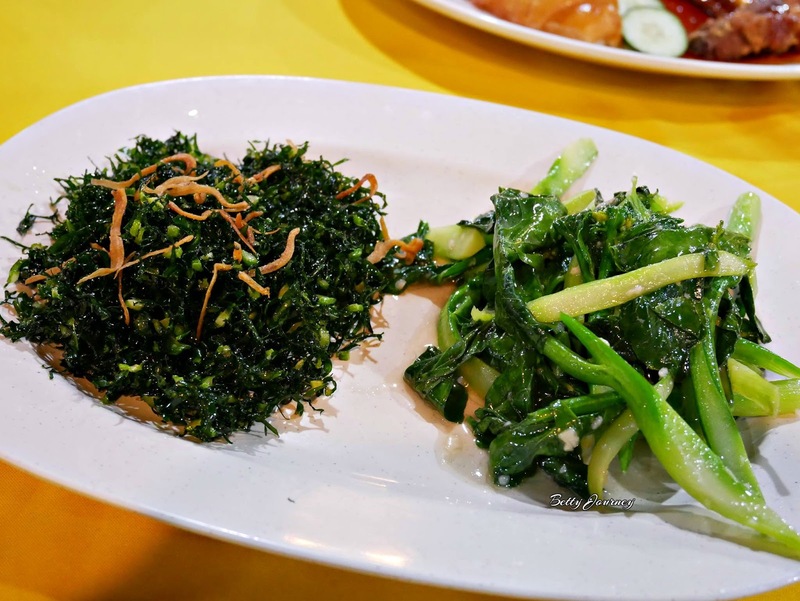 I like the fried Kai Lan as it so crispy and you hardly found this dish at another Chinese restaurant beside Ocean Seafood Restaurant. Creamy and thicker pumpkin sauce that go well with the soft and smooth toufu. A warm dish to warm up my stomach. 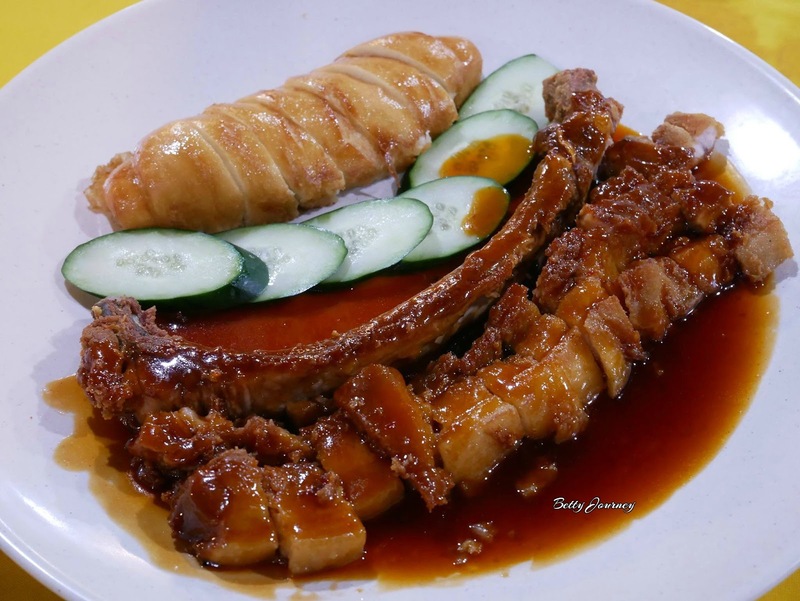 When it comes to Kampung Chicken with Rice wine, the texture and sweetness stand out compare to other cooking methods. It will be a plus if prepare using Kampung chicken as it taste sweet and the meet is tender. This Lala with superior soup driving me crazy as I big fans of Lala. I like the touch of spiciness in the soup and the Lala is fresh and big. Worth for money and the portion is generous. The mantis prawn was lightly battered and fried till golden brown. I enjoy the crunch texture and sweet flavor of the dish. Not too spicy and in fact I addicted to it. Prepare in sambal style and come in generous portion. Go well with a bowl of hot rice. It might look normal chicken wings to you but the special sauce make the chicken wing more outstanding. The sauce marinate well into the chicken wings as you can taste the sweetness of the chicken.